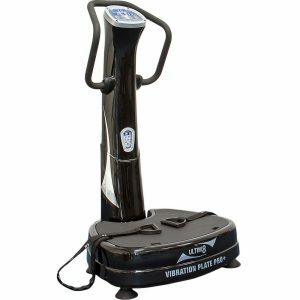 Our commercial number one vibration plate for hire have full sized plates and operate on the highest power levels. The sophisticated design incorporates blue led back lit consoles at standing height and additionally lower down so that feedback can still be viewed when doing sit-ups, squats etc. Our commercial vibration plates for hire come with a manual and an attractive A4 poster detailing suggested exercises plus attached arm and leg straps and handles for bicep and tricep curls. The vibration plates have large rubber feet with shock absorbers for minimising noise levels. If you are looking for the mild but powerful exercise equipment on hire then to hire commercial vibration plate is the best option. The vibration plate is also known as power plates, it is the latest fitness equipment which is very much effective. There are many users and even some celebrities who have recommended hiring the commercial vibration plate, which will help you in getting desired physical appearance with the nominal physical stress. The power plates are vibrating machine that will make your body vibrate 30-60 times in per second sideways and upward down. It is proven that the workout through vibration plate helps to burn 300 calories in ten minutes. This has been scientifically proven that the Vibration plate is good and stimulates the lymph flow and circulation of blood. 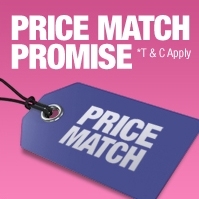 It is the simplest commercial gym equipment to use. Once you hire commercial vibration plate, you will be required to go through the instructions as mentioned and which will also be explained during the installation. 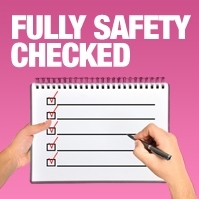 Basically, the user will be required to stand on the power plate for 10 to 15 minutes daily. To get the better and faster results the vibration plate exercise can be combined with the pushups, sit-ups, lunges, and calf stretches. This is very important to know that small variation in the exercise makes them interesting and users will be motivated to perform them on regular basis, the same rule applies to the commercial vibration plates as well. You can also combine some additional exercise that can be performed during working out on power plates. This is also to be kept in mind that the intensity and duration will vary for the beginners and experienced users. Where for the experienced user, daily workout of 15 minutes is sufficient for the beginners it should not be more than 10 minutes. It is also advisable to avoid overexposure to the vibration plates. To get the desired results along with the commercial vibration plates you should also have some normal exercise done. 1. The Commercial Vibration plates help in increasing the muscular contractions which is good for the muscular strength and balance. The power plates are good to stimulate the muscles. This has been notices that where other exercises make muscles workout for 50%, the vibration plate exercise makes muscle to workout up to 90%. 2. The Lymph flow gets improved while working out with the commercial vibration plates, which improves the immune system of our body. 3. The commercial vibration plate stimulates body in a way that the blood flow increases and our body cells get more oxygen resulting in improving the energy and stamina. 4. The vibration triggers the hormonal growth which helps to get the damaged muscles, bones and other physical tissues repaired. The researches have shown that Power plates trigger serotonin Harmon which is responsible to make us feel happy and healthy. It of course reduces the level of cholesterol which means you will feel stress free and refreshed all day along. 5. If you are intended to burn calories and reduce fat, hire commercial vibration plate because it helps in increasing the metabolism process.6. It also helps in strengthening the muscles around the joints which will help you in getting relief from the joint pains. 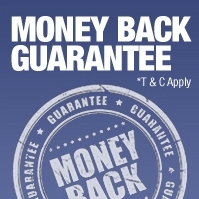 Hire Fitness is committed to deliver the best quality with money back guarantee and dedicated services to customers. 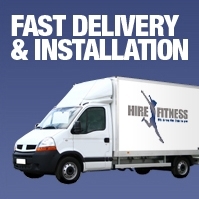 Once you hire commercial vibration plate, it will be delivered to you as quick as possible, because Hire Fitness understands the business requirements well. Our dedicated commercial gym equipment team will be at your services to guide you and assist you to make your decision to hire commercial vibration plate most successful. >Our commercial number one vibration plate for hire have full sized plates and operate on the highest power levels. The sophisticated design incorporates blue led back lit consoles at standing height and additionally lower down so that feedback can still be viewed when doing sit-ups, squats etc. Our commercial vibration plates for hire come with a manual and an attractive A4 poster detailing suggested exercises plus attached arm and leg straps and handles for bicep and tricep curls. The vibration plates have large rubber feet with shock absorbers for minimising noise levels. 1. The Commercial Vibration plates help in increasing the muscular contractions which is good for the muscular strength and balance. The power plates are good to stimulate the muscles. This has been notices that where other exercises make muscles workout for 50%, the vibration plate exercise makes muscle to workout up to 90%. 2. The Lymph flow gets improved while working out with the commercial vibration plates, which improves the immune system of our body. 3. The commercial vibration plate stimulates body in a way that the blood flow increases and our body cells get more oxygen resulting in improving the energy and stamina. 4. The vibration triggers the hormonal growth which helps to get the damaged muscles, bones and other physical tissues repaired. The researches have shown that Power plates trigger serotonin Harmon which is responsible to make us feel happy and healthy. It of course reduces the level of cholesterol which means you will feel stress free and refreshed all day along. 5. If you are intended to burn calories and reduce fat, hire commercial vibration plate because it helps in increasing the metabolism process.6. It also helps in strengthening the muscles around the joints which will help you in getting relief from the joint pains.